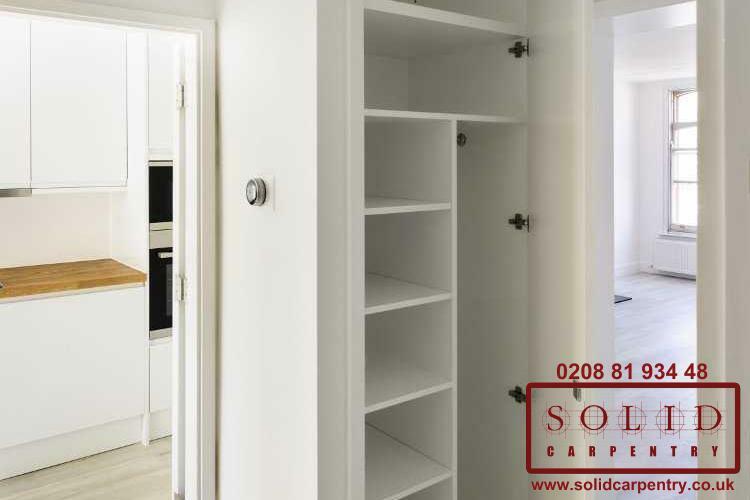 Browse through our portfolio and you will see just how much a custom built-in cupboard can improve the look, and functionality, of any room. 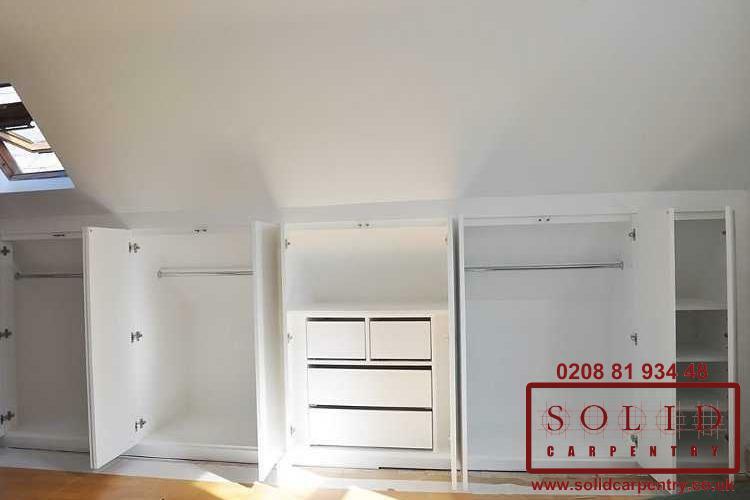 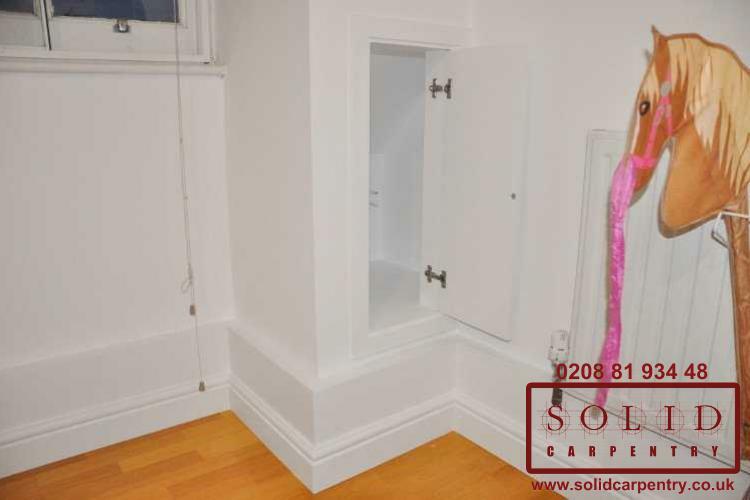 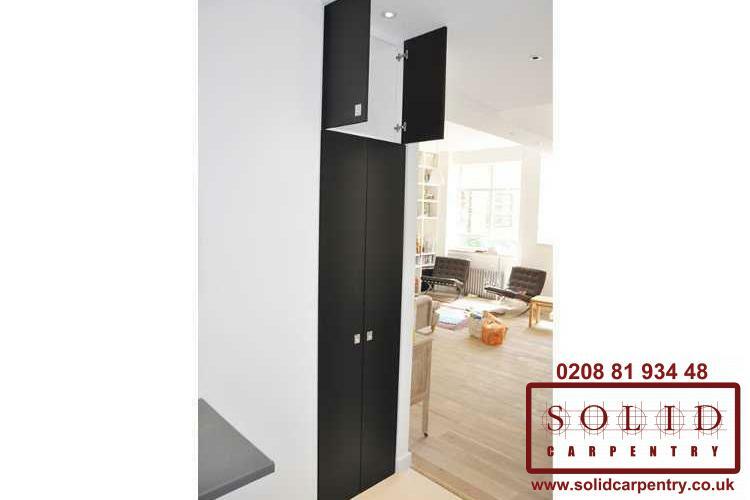 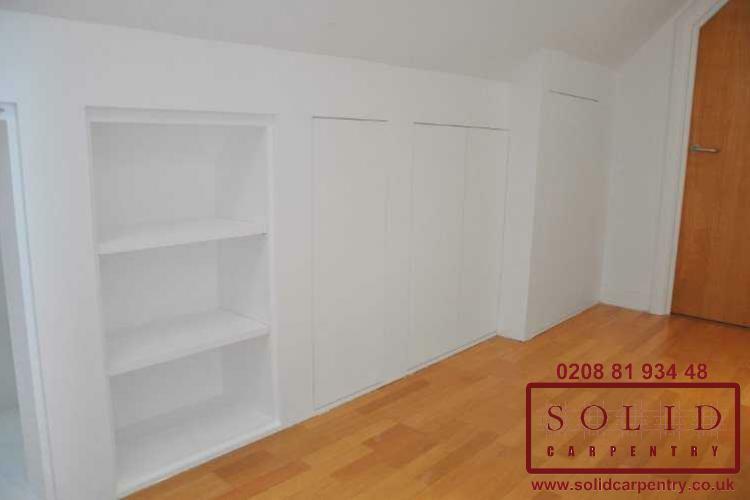 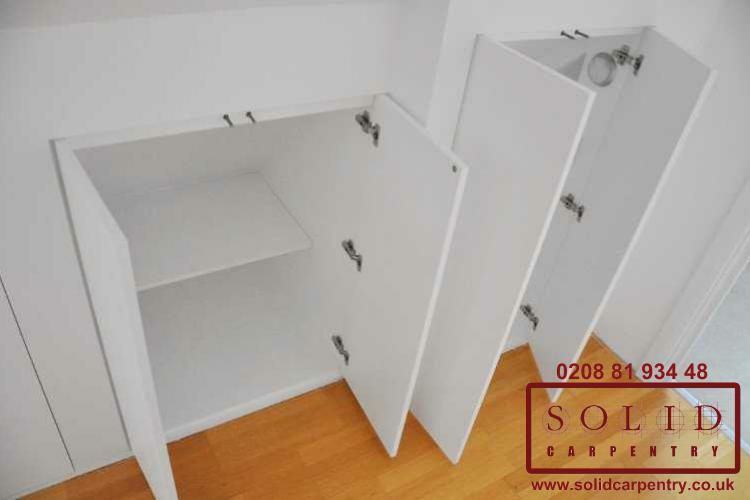 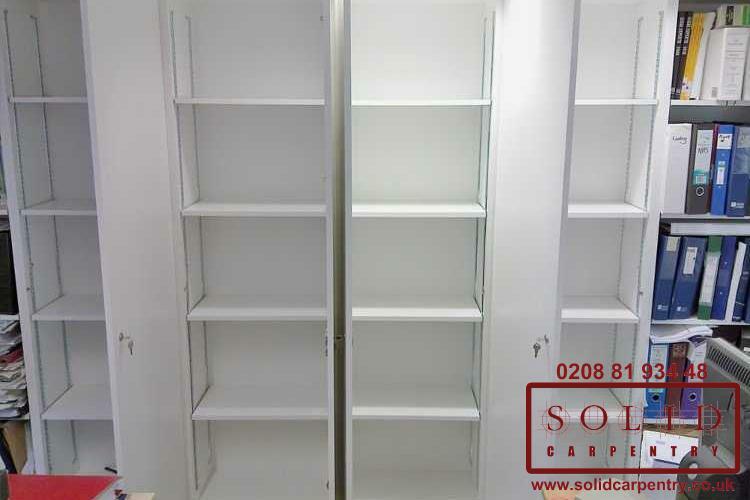 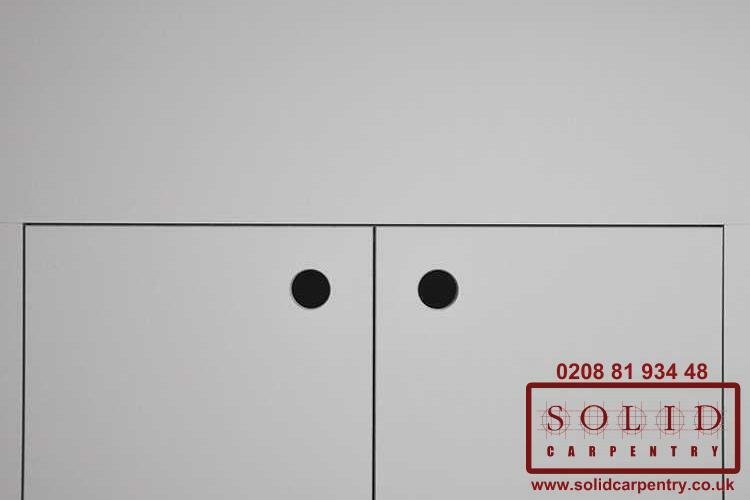 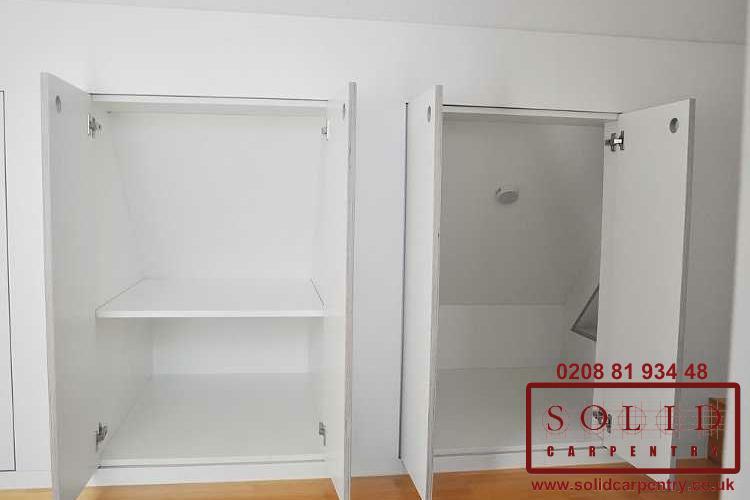 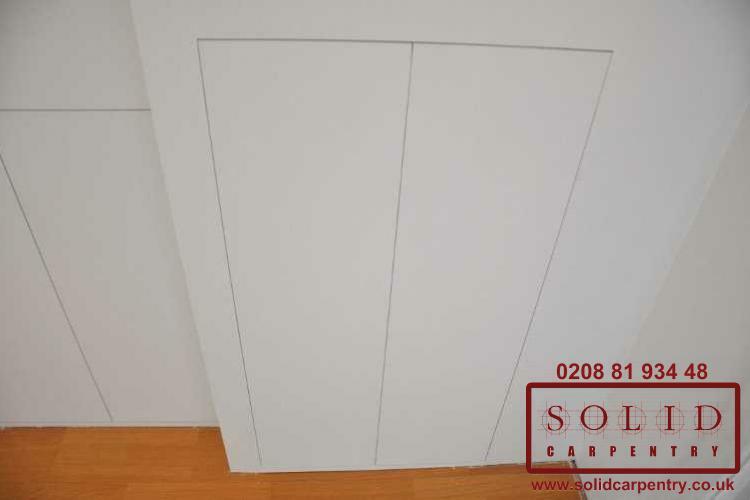 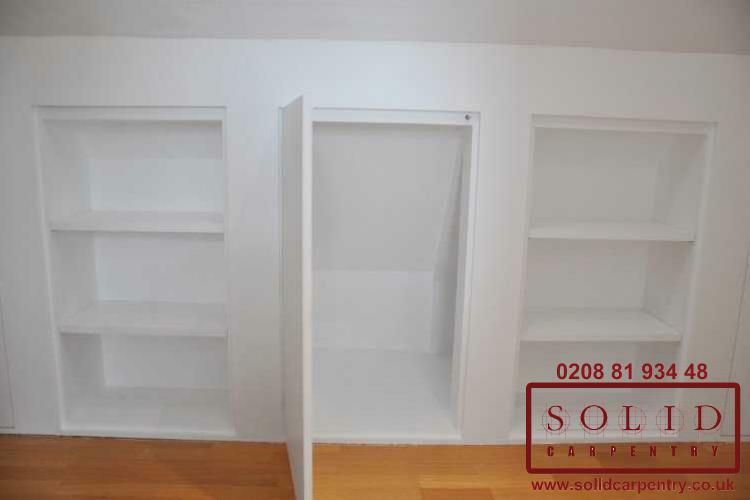 As can be seen in the examples at the left, our team of highly skilled, professional carpenters can craft beautiful made-to-measure cupboards in the most awkward of layouts or challenging spaces. 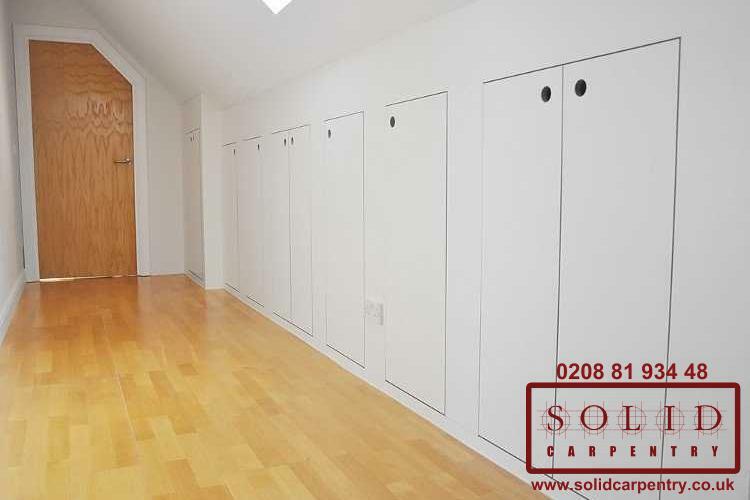 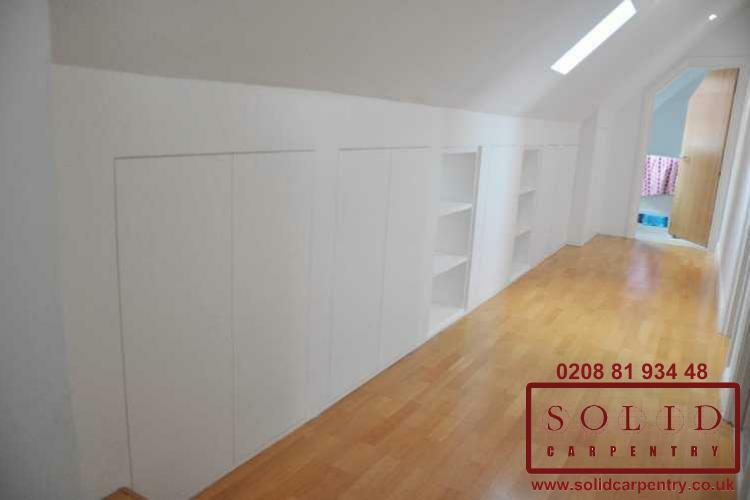 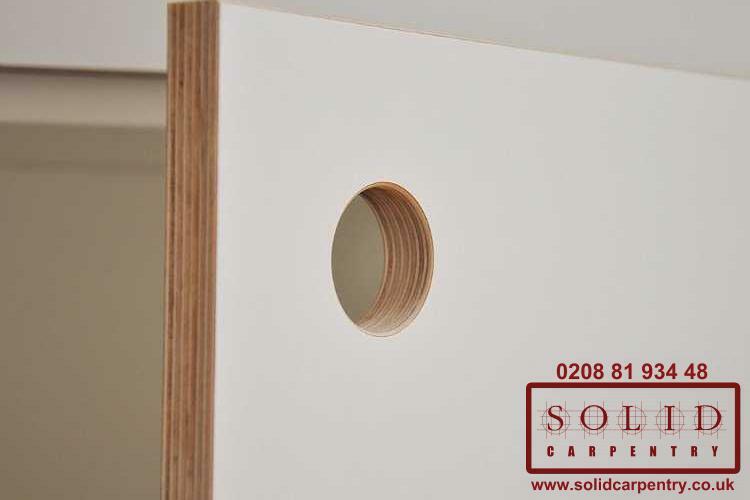 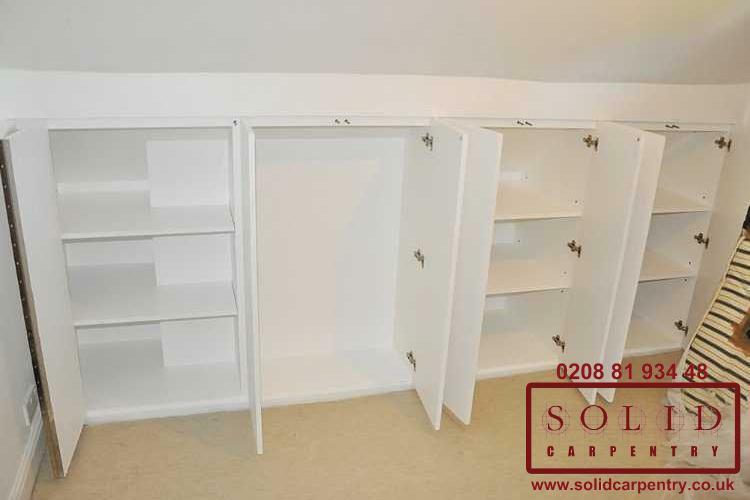 At Solid Carpentry, no job is too big, too small, or too challenging. 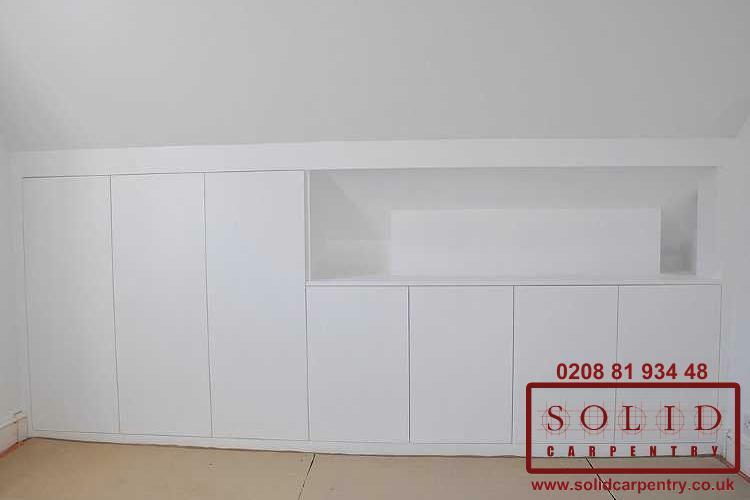 As you can see, we can custom build practical corner units, elegant alcove cupboards, wall-to-ceiling structures, and much more. 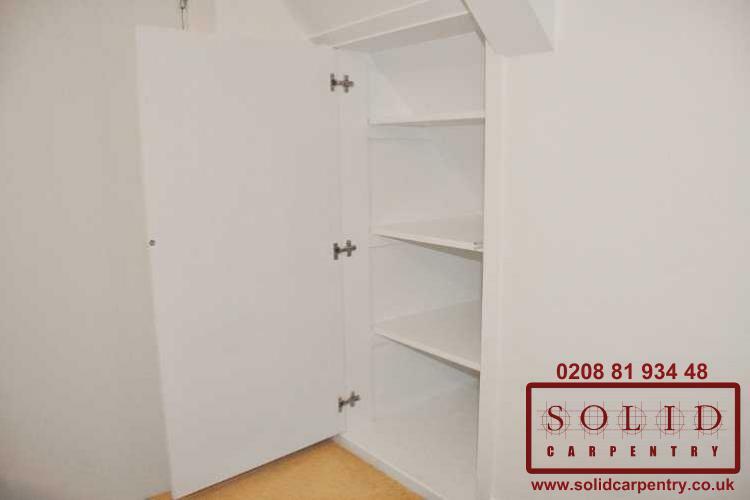 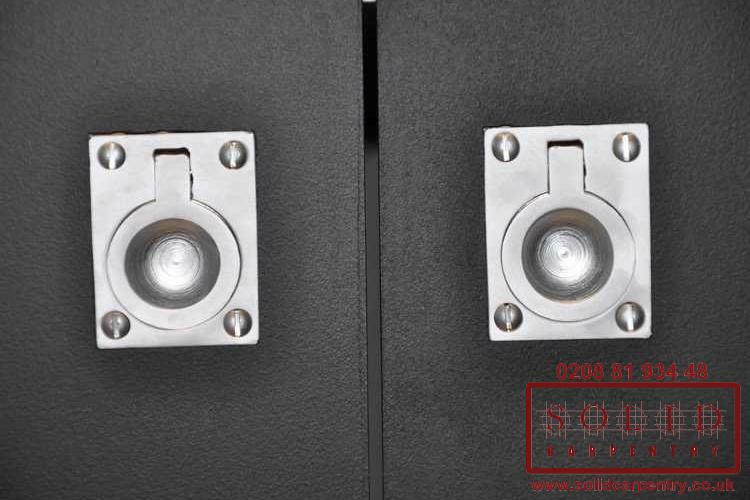 Furthermore, our highly skilled craftsmen keep up-to-date with the latest techniques and technologies, meaning you can opt for integrated lighting, hidden compartments, or a built-in safe. 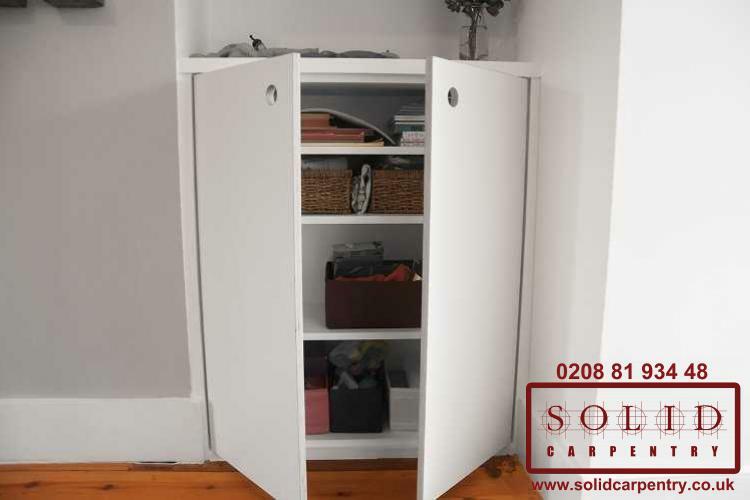 Our aim is to create a practical storage solution that also makes the most efficient use of the space available and adds value to your home or office for years to come. 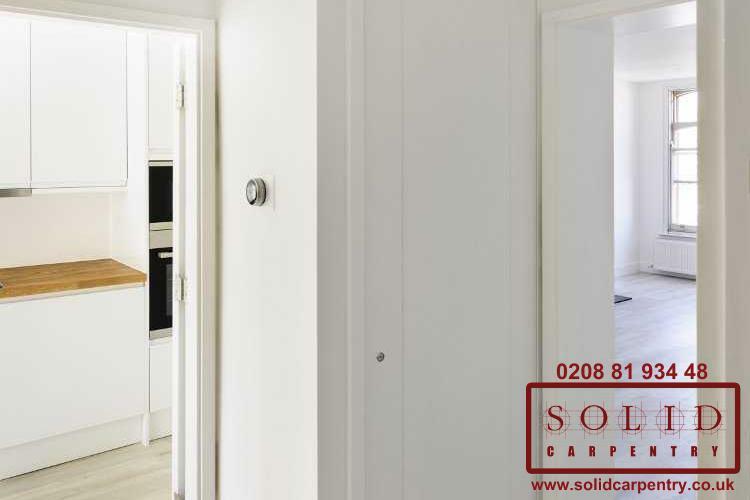 Each of the projects outline here were completed so successfully thanks to our professional, individual approach to the customer service. 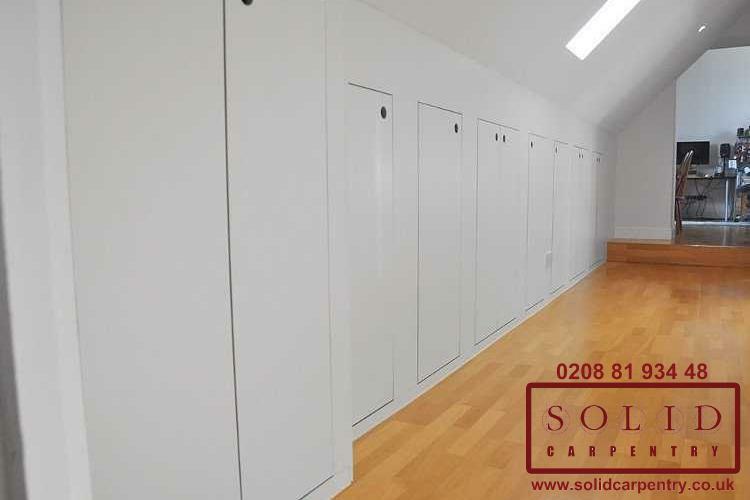 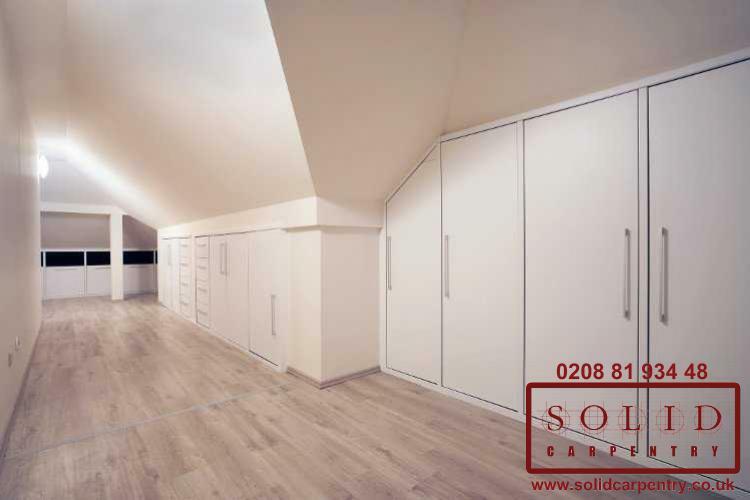 We believe in listening attentively to our clients’ needs and ideas and working with them to create the ideal storage solution. 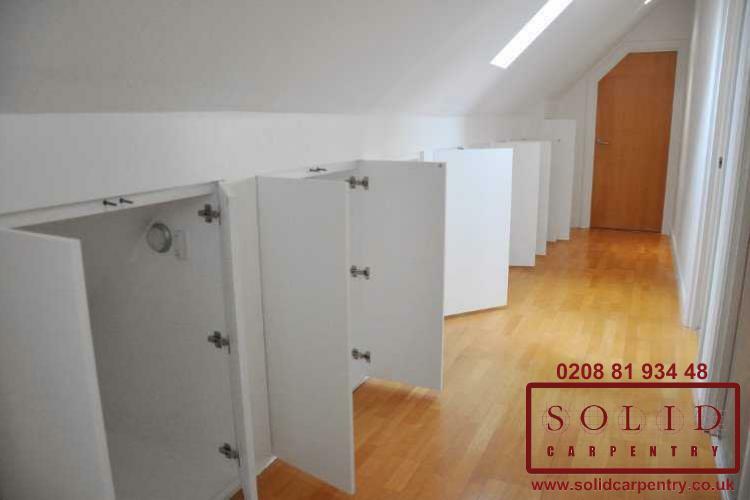 Each project began with a site visit to evaluate the space and discuss the customer’s requirements. 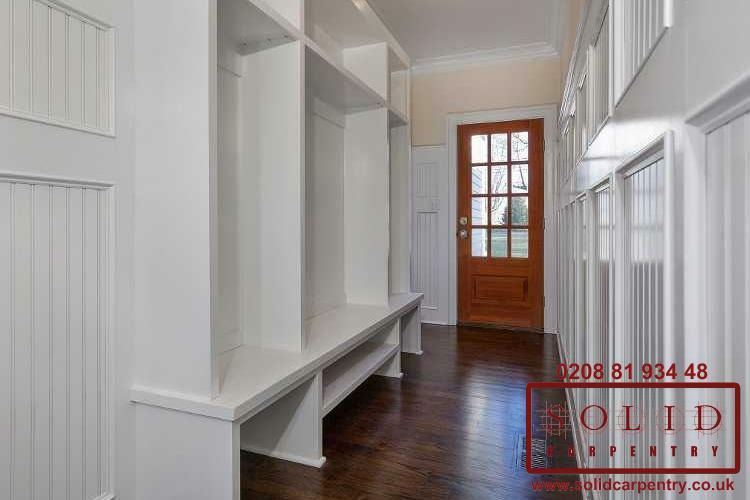 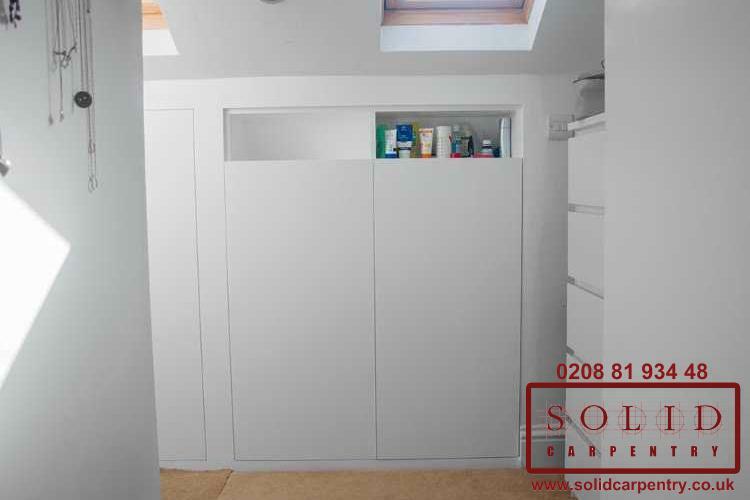 Drawing upon many years’ experience, we were then able to design and install custom built-in cupboards that fit perfectly into the shape of the room and in a style that delighted our customers. 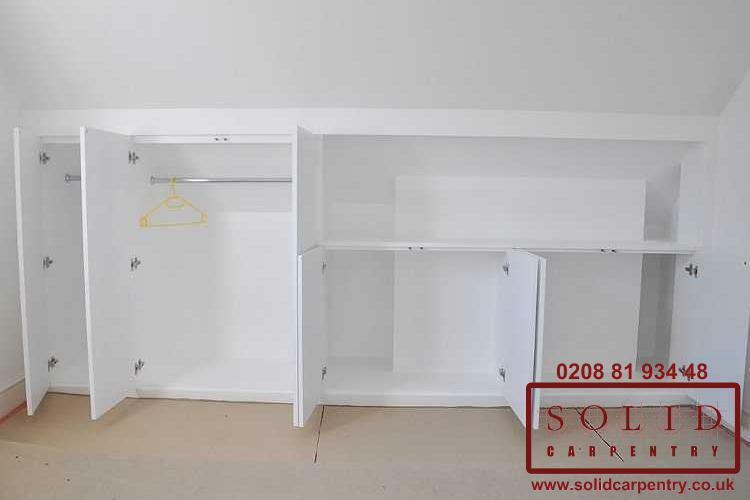 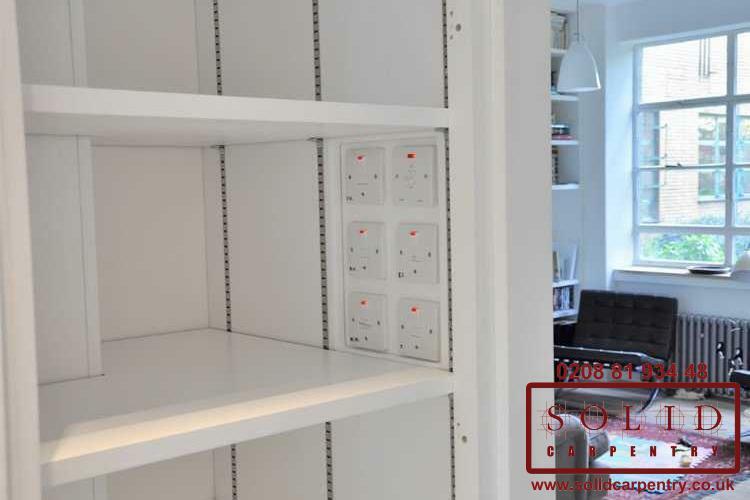 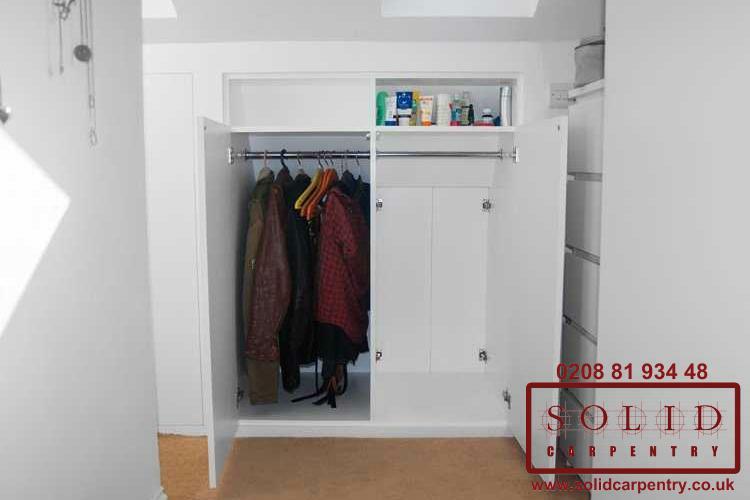 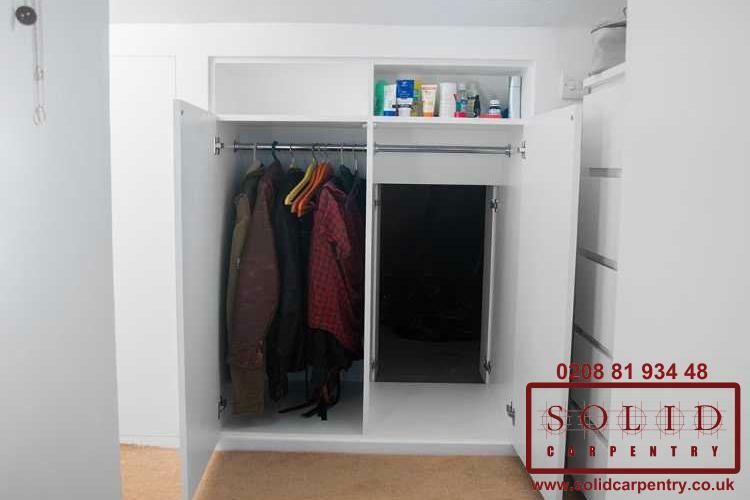 A custom-made fitted storage cupboard can be installed in any room so whether you want to store books, bathroom bits, or baby clothes, we can create a design that works for you. 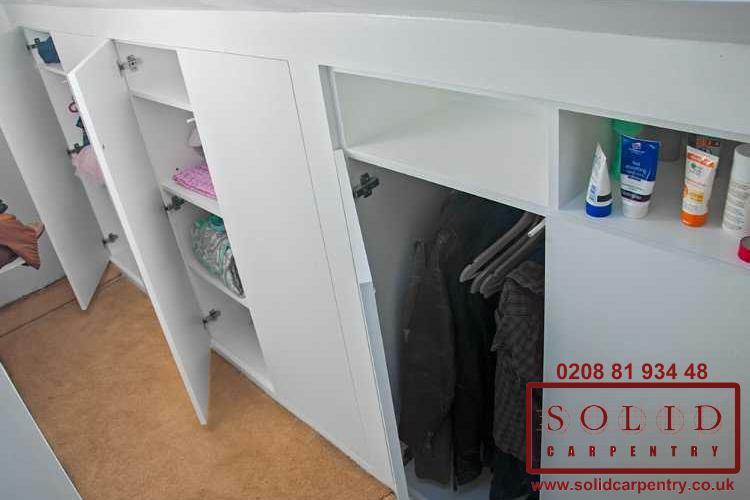 And, as with our customers in the examples above, we will offer expert advice on the best materials and finishes to use for your bespoke cupboard so it remains in excellent condition for years to come. 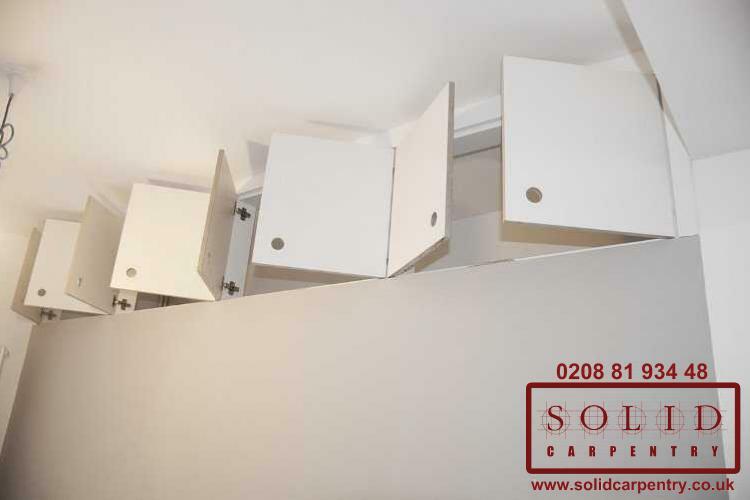 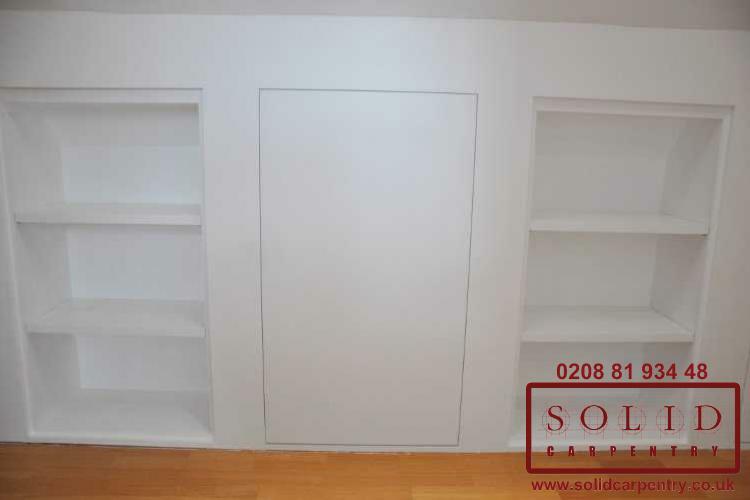 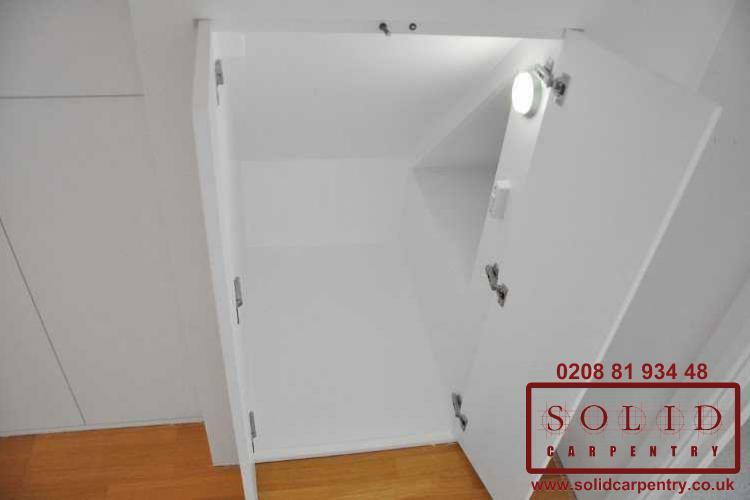 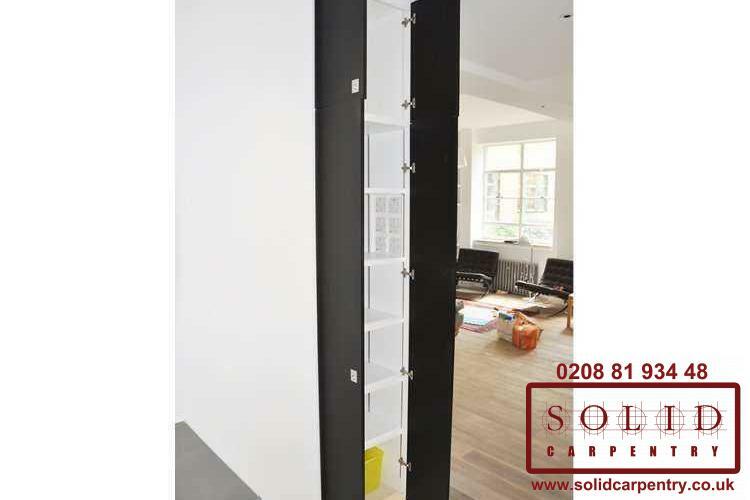 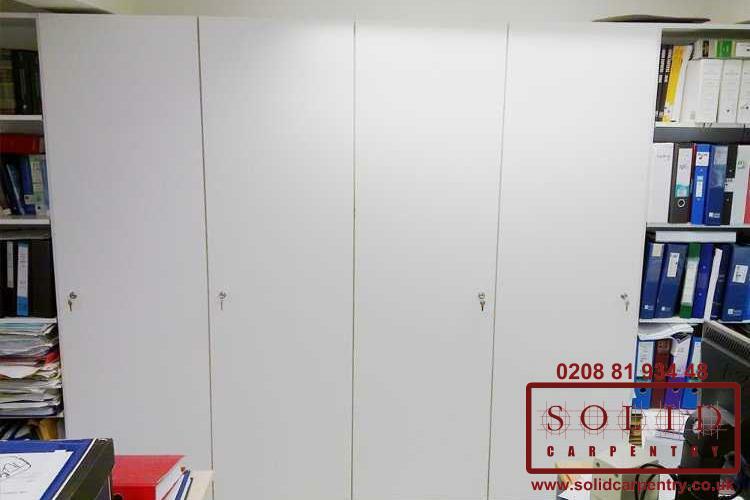 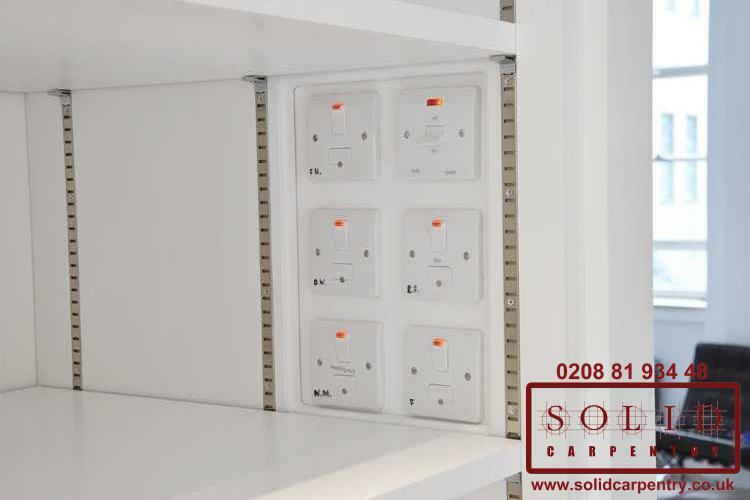 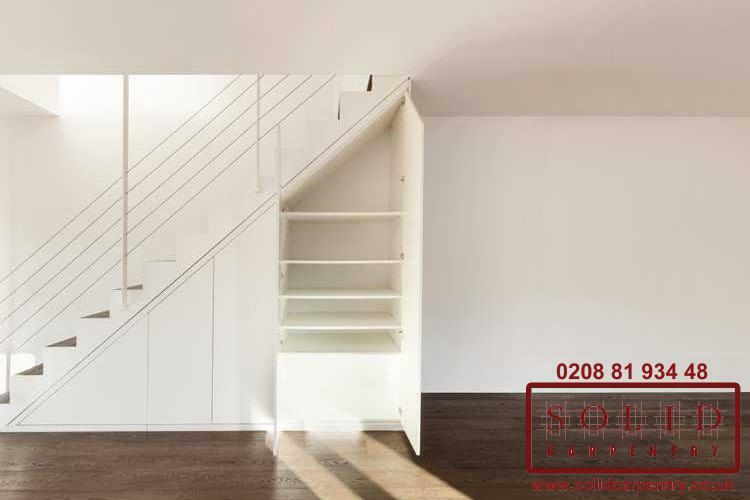 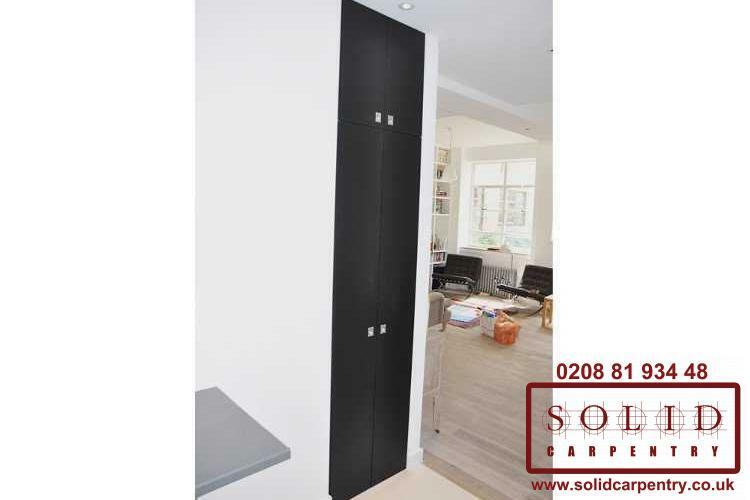 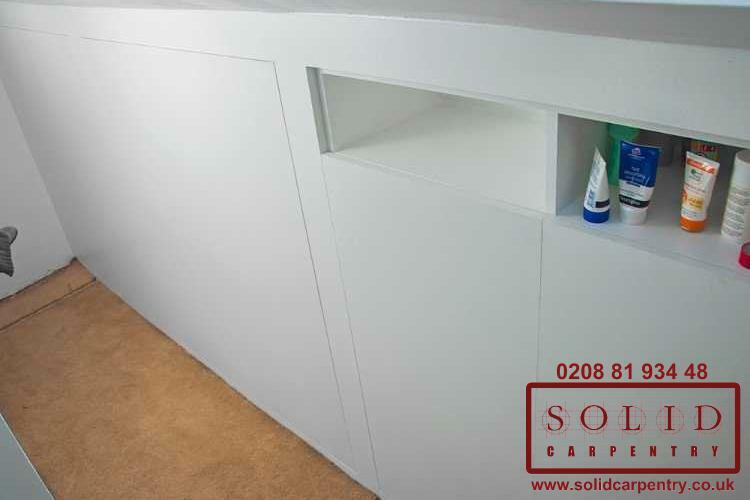 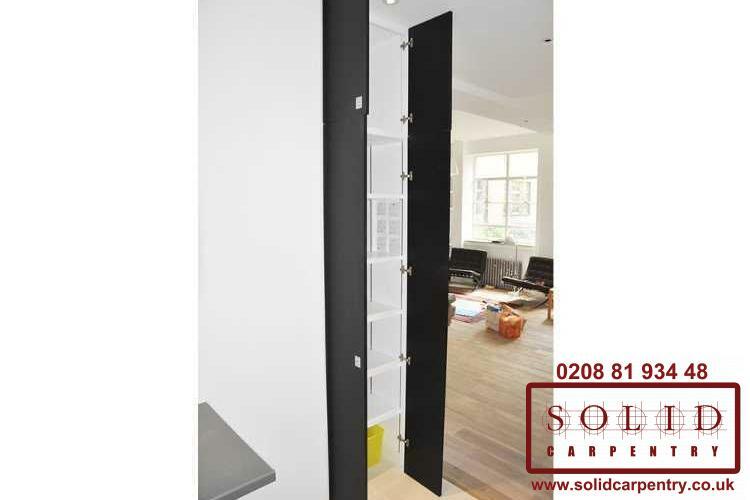 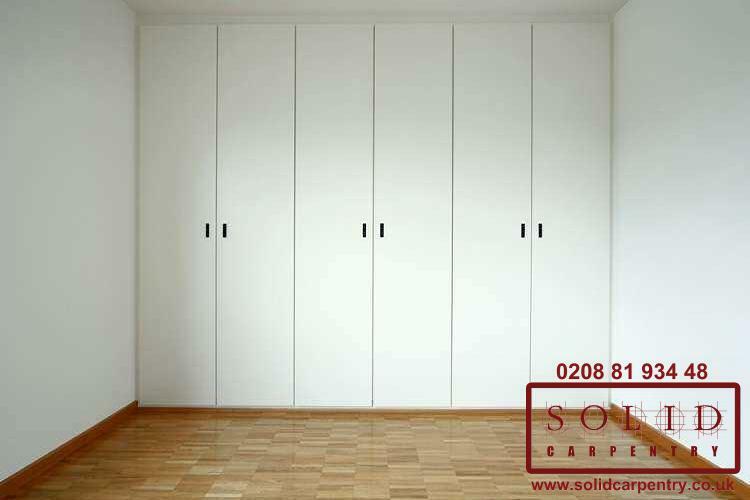 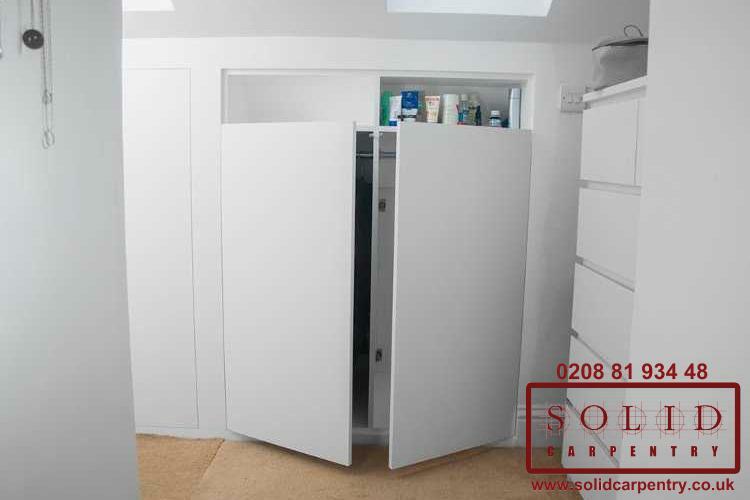 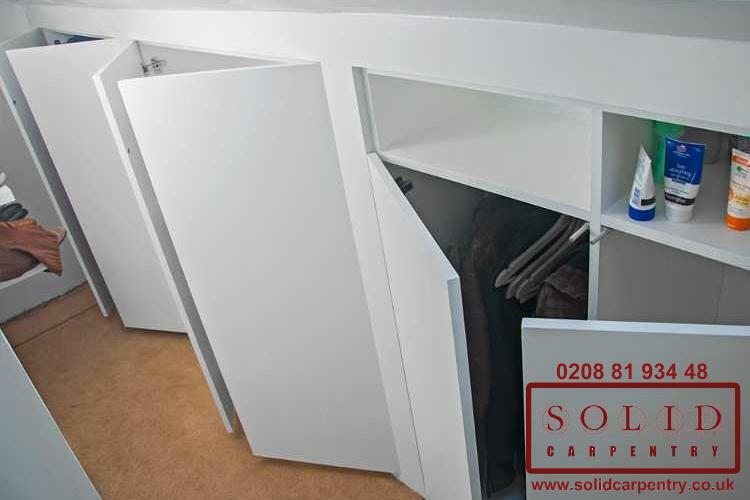 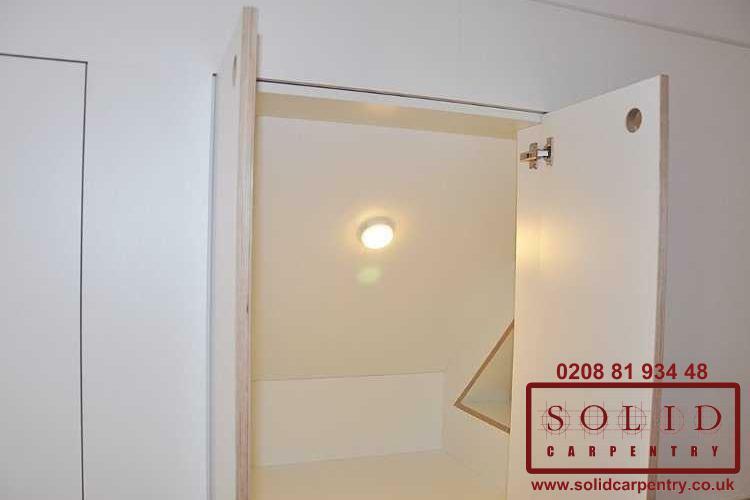 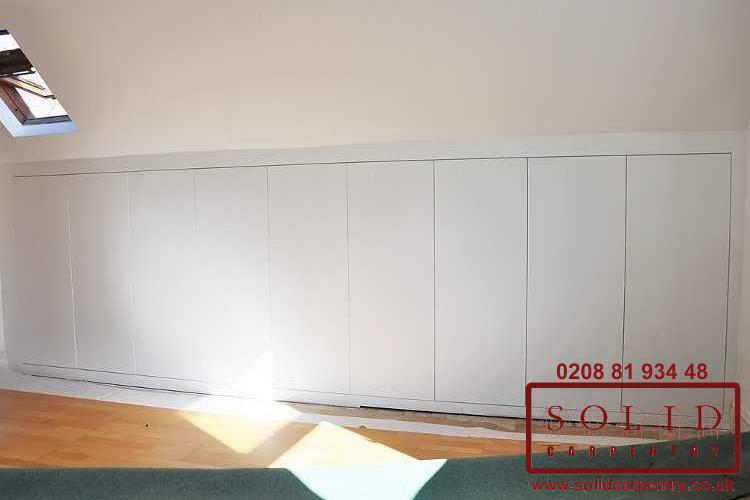 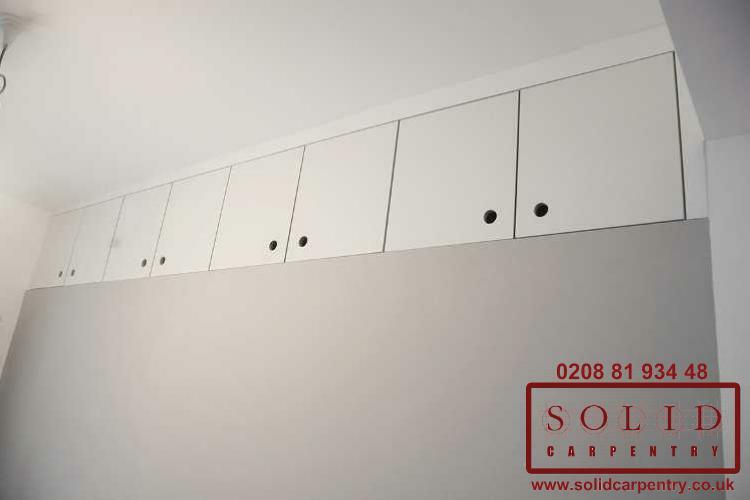 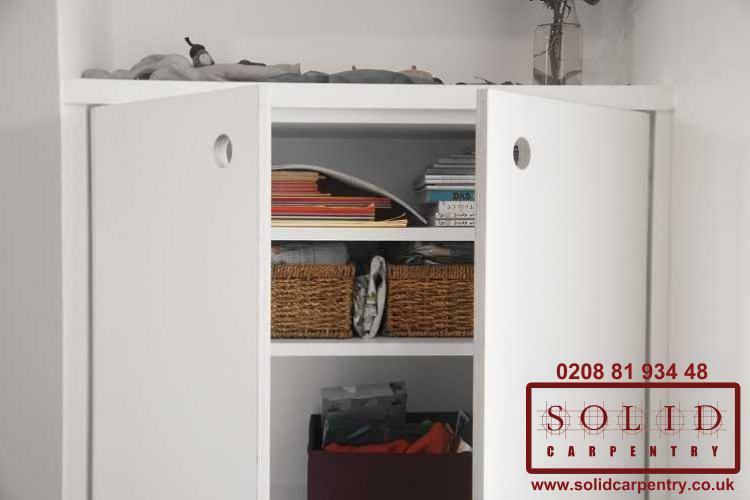 If you could benefit from a bespoke built-in cupboard in your London home or office, contact us today or call 020 8819 3448 to discuss your requirements and for a free no-obligation quote.